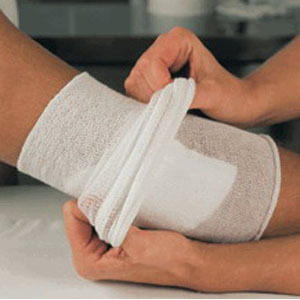 TG® Tubular Net Bandage for securing dressings and light compression, as well as suspension and extension. The bandage remains firmly in position without creasing or cutting into the skin. 67% cotton, 33% viscose and may be sterilized up to 120°C. Extremely stretchable in width-wise direction.